2019 the 3rd International Conference on Cryptography, Security and Privacy (ICCSP 2019) was held during January 19-21, 2019, in Kuala Lumpur, Malaysia, which was hosted in University of Malaya, Malaysia. 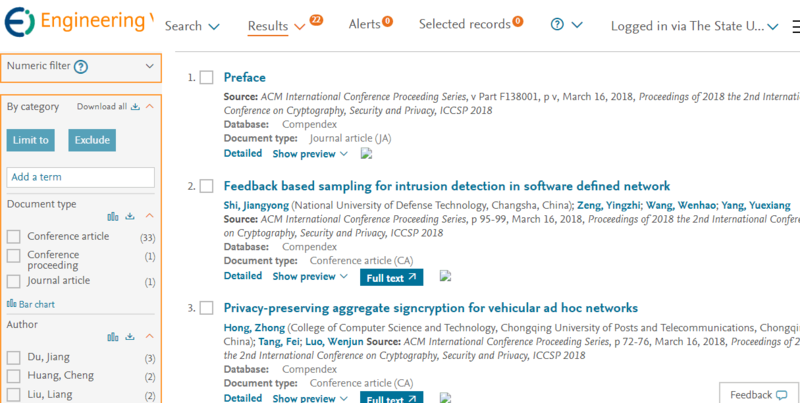 All accepted and presented papers have been published in the International Conference Proceedings Series by ACM, (ISBN: 978-1-4503-6618-2), which will be archived in the ACM Digital Library, and indexed by Ei Compendex and Scopus, which will be the same with last year. ICCSP 2019 conference proceedings have been online in ACM Digital Library. 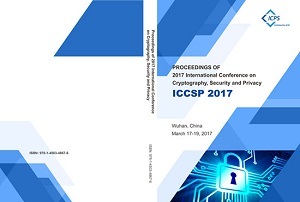 ICCSP 2017 and ICCSP 2018 have been held in Wuhan, and Guiyang in China respectively. With your support, they were held successfully. The conference will be held every year to make it an ideal platform for people to share views and experiences in Information Technology and related areas. All full paper submissions will be peer reviewed and evaluated based on originality, technical and/or research content/depth, correctness, relevance to conference, contributions, and readability. ICCSP 2018 has already been indexed by Ei Compendex and Scopus! ICCSP 2017 has already been indexed by Ei Compendex and Scopus!